This model offered great specs to the user at such a low price. This time, the company has launched a brand new member in the Konnect series. This device is named as Konnect Plus. This device has great specs. Let’s have an eye over the specs. Konnect Plus features a big 5 inch HD IPS display with a resolution of 720 x 1280 pixels (with a pixel density of 320 PPI). This sharp and sleek display comforts the user to view videos with sound quality. It is powered by a 1.2 GHz quad-core processor coupled with a RAM of 2 GB. It is useful in playing graphics games with ease. There is no problem in playing such games. This device offers 16 GB of internal memory which can be expandable up to 32 GB using microSD card. KonnectPlus runs on Android OS Lollipop v5.1. This model comes with dual SIM functionality. It is powered by a battery of 3,000 mAh promised to deliver 10 hours of talk time and about 220 hours of standby time. There is a primary camera of 13-megapixels on the rear and a camera of 5-megapixels on the front for selfies and video calling. The primary comes with a LED flash. For connectivity, the device offers 3G, WiFi, Bluetooth and GPS. There are an accelerometer, ambient sensor and proximity sensor in the device.Also, an audio jack of 3.5 mm has embedded in the device. The sandstone finish back panel is the main attraction of the device. The device comes with a dimension of 144 x 73 x 9.8 mm and weighs about 156 grams. “Swipe believes in disrupting the market with offering more and better for less. 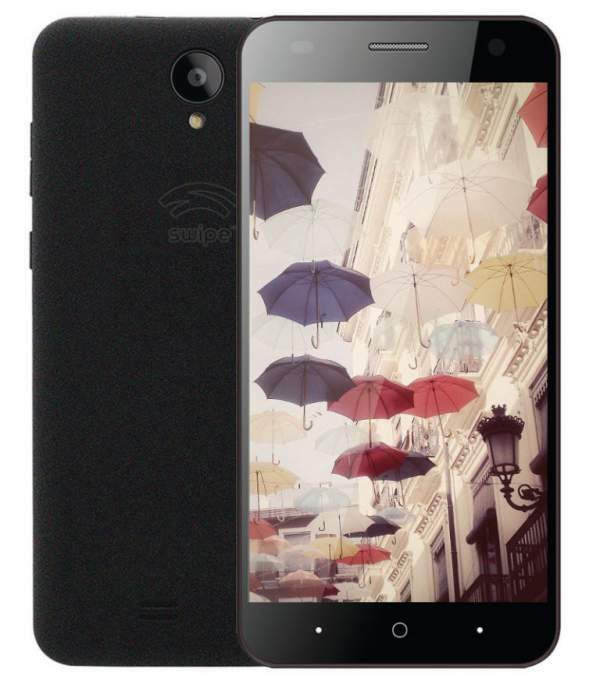 Our latest creation KonnectPlus is the most affordable among all 5”/2GB/16GB smartphones available in the market today. No other smartphone maker in India offers these specs at the price we are proposing at!” are the words of Mr. Shripal Gandhi, Founder, and CEO of Swipe Technologies Limited on the launch of the device. Inside the box, there is a data cable, user manual, warranty card, AC power adapter and a handset. The device is exclusively available on e-commerce website snapdeal.com and is priced at Rs. 4,999.